When the Maple Leaf was inaugurated by Amtrak in the early 1980s the national passenger carrier already offered a train over much of the route known as the Empire Service between New York City and Buffalo. However, with growing demand to reestablish service with Toronto spurred the train's establishment and it works in conjunction with Canada's VIA Rail to reach that city. Interestingly, the history of the Leaf dates back to the Grand Trunk Western Railroad, a system owned by Canadian National and served the upper Midwest, although it never reached either New York City or New York state. The GTW's passenger services were quite sparse, just a few named trains that connected to CN at Port Huron and Detroit. Today, Amtrak's Leaf offers fairly basic on board services considering that it is only a regional train although its ridership continues to grow. Under the Grand Trunk Western the Maple Leaf was a 511-mile regional service that connected Chicago with Toronto, operating out of busy Dearborn Station (whose most famous tenant was the Santa Fe). Travel time on the train was between 11 and 14 hours. 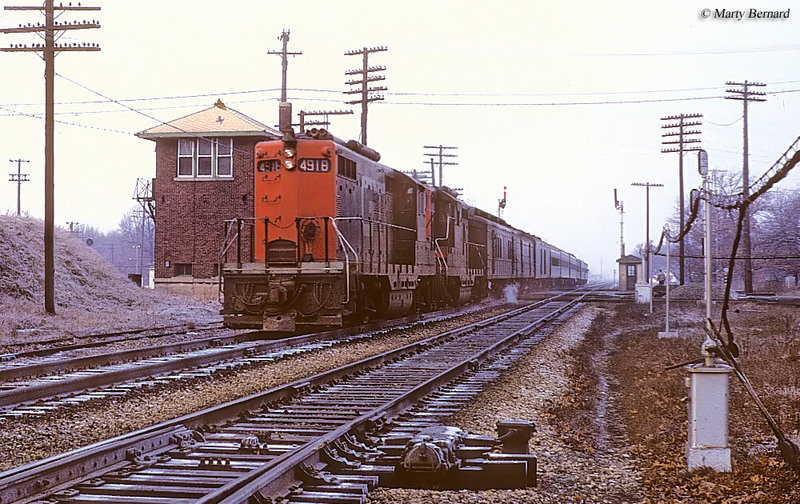 Overall, the GTW featured four trains in conjunction with CN that reached Chicago including the Maple Leaf, International Limited, Inter-City Limited and LaSalle. The former two survived all of the way until the start of Amtrak on May 1, 1971 while the latter were discontinued some years earlier. During its final years in service the Leaf (train numbers 158 and 159) provided quite standard amenities that included coach and club cars, with light cafe service also available. Although somewhat confusing there was also a second Leaf, operated between CN and Lehigh Valley to connect Toronto with New York City on an overnight run. This was dropped in early February, 1961. 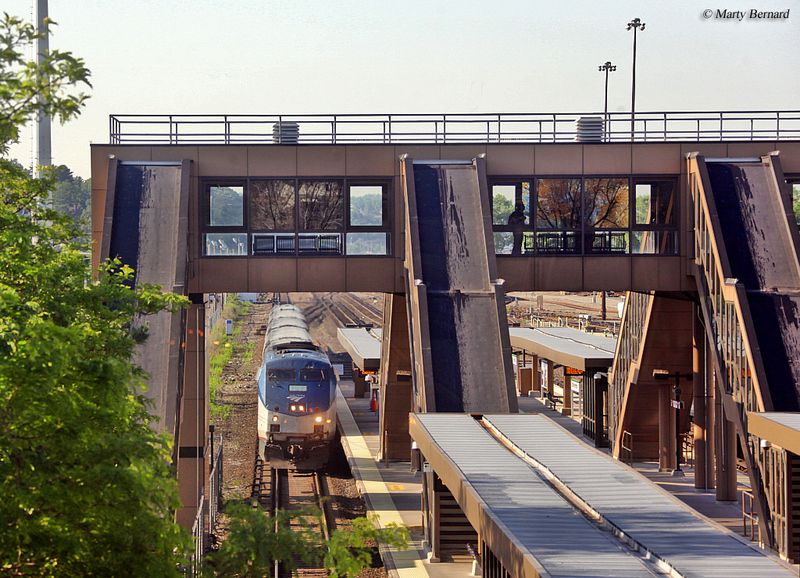 Today, the former route of the original train is now part of Amtrak's Blue Water Service, while New York Central's former Lake Shore Limited route is now known as the Maple Leaf. 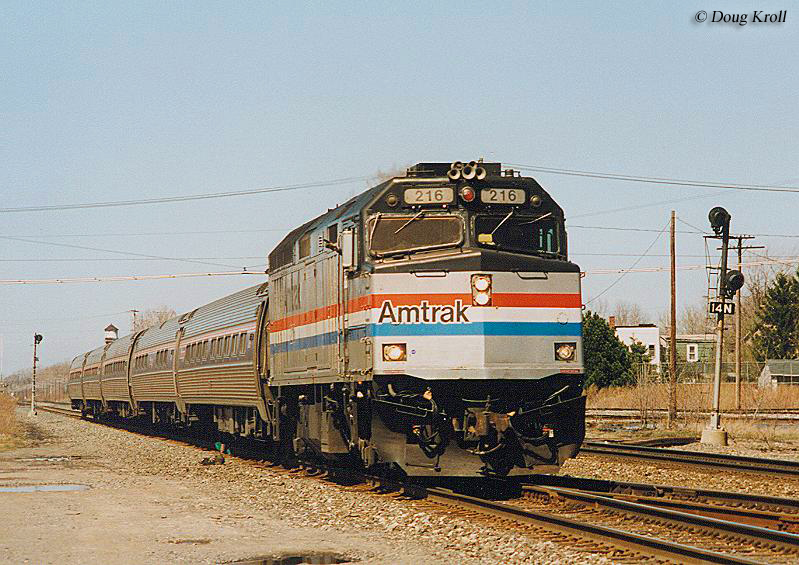 The train was inaugurated by Amtrak and VIA Rail Canada on April 26, 1981 with station stops at New York (Penn Station, Croton-on-Hudson, Poughkeepsie, Rhinecliff, Hudson, Rensselaer, Albany, Schenectady, Amsterdam, Utica, Rome, Syracuse, Rochester, Depew, Buffalo, Niagara Falls (New York and Ontario, where crews from VIA Rail take the train), St. Catharines, Grimsby, Aldershot, Oakville, and finally Toronto. 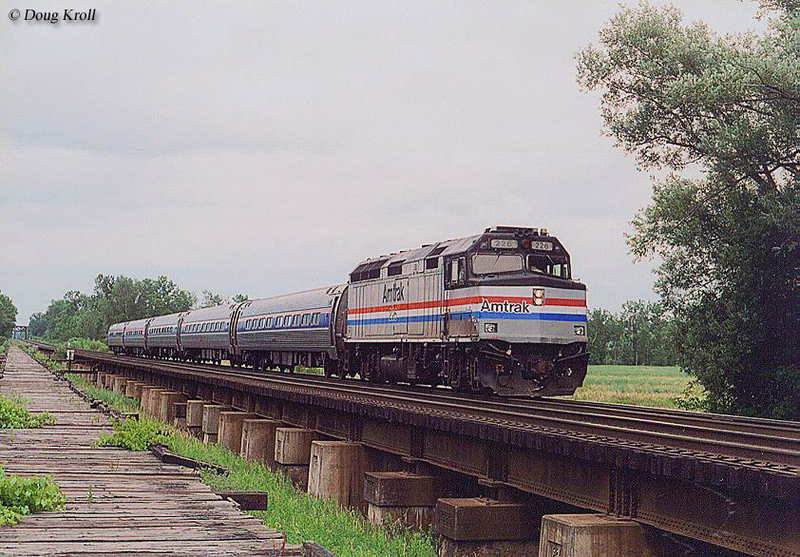 As with Amtrak's Empire Service, much of the route the Leaf uses today on the former New York Central's main line hosted the Lake Shore Limited that connected Buffalo and the Big Apple. The train was upgraded twice prior to the streamliner era, first in 1905 with more modern equipment although it still utilized 4-4-0s (albeit more powerful); then in 1920 it was updated again with all-steel, "heavyweight" Pullman cars and non-streamlined J Class 4-6-4 Hudsons. A typical run for the train to cover the 436 miles between New York and Buffalo, even during its early years, was just over seven hours. In 1941 the Empire truly came of age when the NYC decided to completely streamline the train with new equipment from the Budd Company. Using its patented fluted stainless steel the equipment included mostly coaches but also offered new amenities like air-conditioning. The Empire State Express was officially christened as a streamliner on Sunday, December 7, 1941 and unfortunately, as the NYC would soon learn the company could not have chosen a worse date to inaugurate the train. While the Japanese bombing of Pearl Harbor in Hawaii completely overshadowed the Empire's inauguration it went on to remain a successful dayliner for the New York Central. The train lost its name in 1967 and many of the high class amenities that made it popular during its heyday. After this time it was simply known as the Empire Service by successor Penn Central, which continued to operate it until the start of Amtrak on May 1, 1971. From the beginning on this routing the Leaf has never offered lots of accommodations and has always used Amfleet cars for coach and business class service as well as a cafe/snack car. Until the early 2000s the train operated with EMD F40PHs, one of the last to do so. Interestingly, while Amtrak began receiving General Electric's new Genesis models as early as the mid-1990s VIAs crews were unfamiliar with them. As such, the train did not begin using them until 2002, today operating primarily either a P42DC or P32AC-DM. 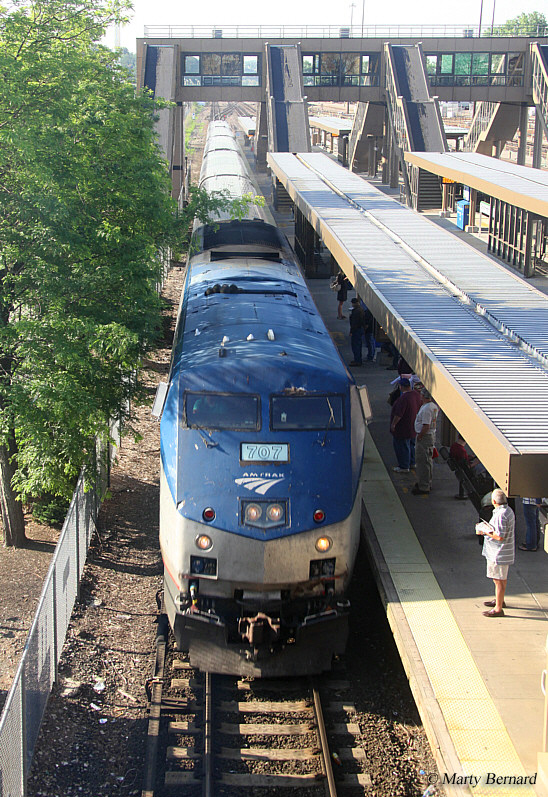 With the Amtrak and the state of New York looking to upgrade the Empire Service corridor with train speeds in excess of 100 miles per hour (high speed rail) it is hoped that the Leaf will be able to reduced its operating times immensely in the near future and likely see increased demand (as of now it carries about 400,000 riders annually).